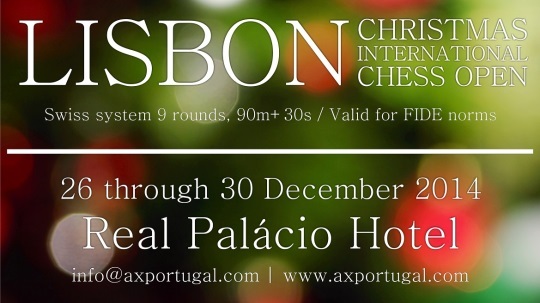 The Lisbon Christmas International Chess Open was organized by the Portugal Chess Academy from 26-30th December at the Hotel Real Palácio in Lisbon, Portugal. 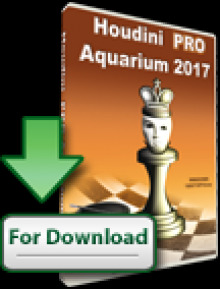 A total of 239 players from 32 federations competed in the 9-round Swiss tournament. 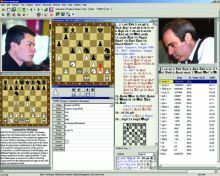 Among them were 11 Grandmasters and 20 International Masters. 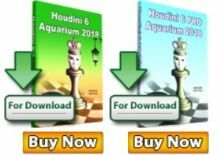 Guest Grandmasters Bartosz Socko, Vladimir Burmakin, Kevin Spraggett, Emre Can, and local IM Rui Damaso shared the first place with 7,0/9 points each. Bartosz Socko took the winner’s trophy on superior tie-break. The tournament was sponsored and supported by DAUD Consors, Real Hotels, Portuguese Chess Federation and Chess Association of Lisbon.